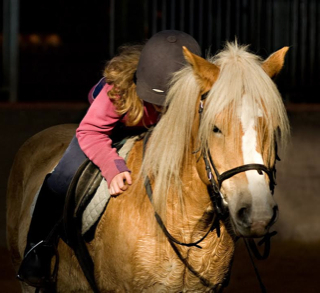 The horse my daughter rode on at that time, was a Haflinger gelding called Frits. He was a popular riding horse, and the horse that basically educated both of us, and the one that laid “the fundament” for us. 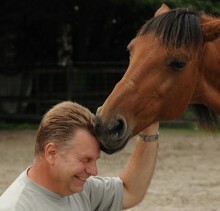 He was the one who helped us to translate the given riding and handling instructions into a version of our own. And also, Frits was the one who helped me revive my dreams about communication. A much softer and kinder way towards the horses started to develop from there. The difference, I think, was that we saw Frits as an individual, and we asked him to do things instead of commanding him around like a thing. And he honoured us by complying without us using any visible aid! This led to a point I realised he REALLY could anticipate my intentions! But how was this possible? And why was this happening to me? And, was this possible with other horses too? Yes, it was!! The other horses responded more or less the same way! But I also experienced that each one “felt” totally different. Each one was a true individual. That led to those little riding students coming to me, asking me to help them, because they said, their horse was “angry” with them, or was lazy, or a “bad horse”… And yes, I had success with that, for the sake of the horses, I taught the kids how to greet, to groom, to lift the legs, calm, to saddle, to lead, without any kind of force. But how I tried to explain, they didn’t get it, or dared not, or had no time…. To me it seemed, the horse was mostly afraid, and I felt there was no real communication going on. So, I finally “fell for the horses”, I was captured by them, their fate, their beauty, their delicacy and I felt I had no other option than to “serve them” and love them. But, I think, they are the ones that get the “short end of the stick”, and they need to be “praised” for that. They are in the “front line” and have to endure quite a lot of bad (often non-intentional, but inexperienced) treatment. And they are the “First Contact” for people. Now wonder they shield themselves (and SEEM numb not dumb)! When they notice that someone is REALLY listening and REALLY looking at them, as a unique individual, they can open up and release their emotions in many ways that made me cry in those stables many times! 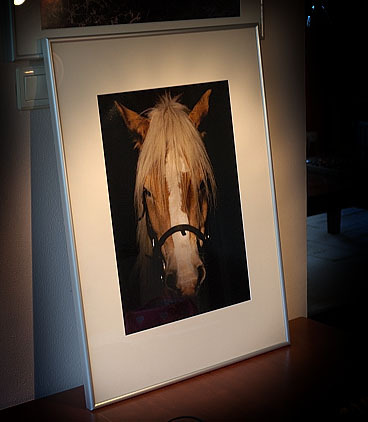 Frits died a few years ago from a very bad colic attack, but I still have a large photograph, framed in glass on a prominent place in my living room, to honour him. I will never, ever forget him, and I carry him in my heart forever. Frits, the riding school horse!